The Design and Construction of 14 two storey houses for affordable rent. The scheme has been built adjacent to an industrial estate on a site that had been vacant for a number of years following a fire that destroyed the warehouse. 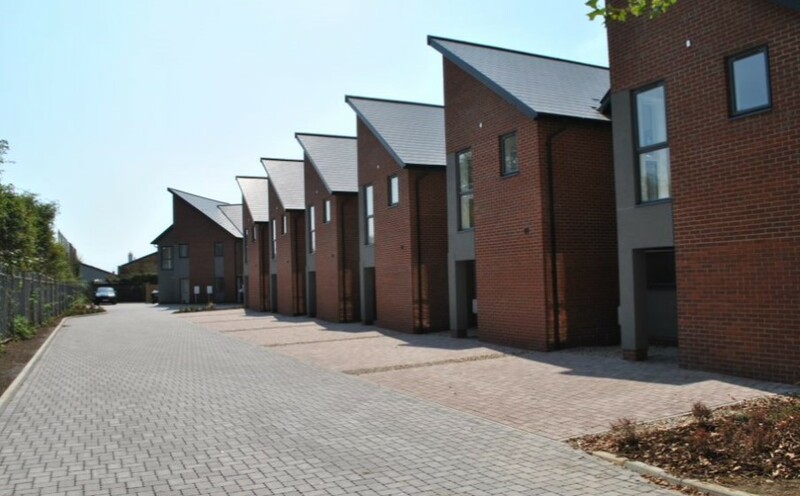 The houses are of timber frame construction and the design has a contemporary feel with the front and rear elevations providing a modern visual impression utilising facing brickwork, recessed rendered panels and saw-tooth roofs. Category M4(2) of the Building Regulations, making the dwellings accessible and adaptable.